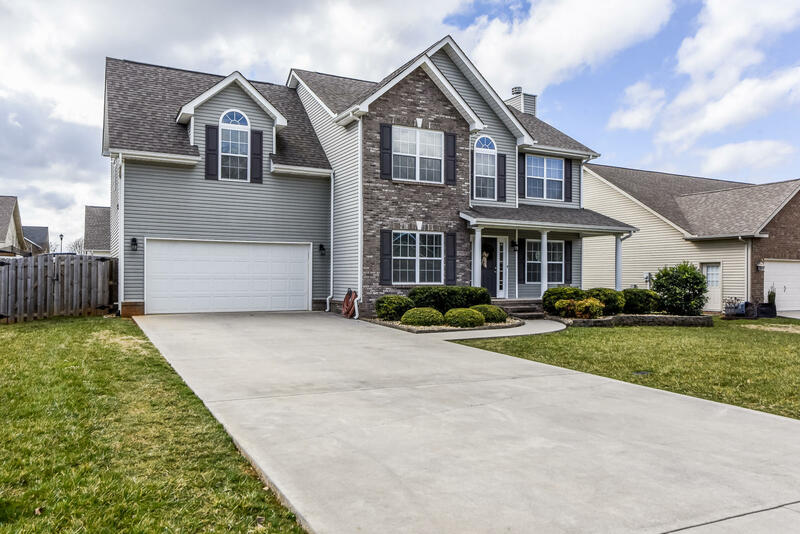 Pristine 2 story home sits on a quiet cul-de-sac street convenient to Maryville and Knoxville! Fenced Level back yard. Spacious living room with hand scraped hardwood, crown molding, and wood burning fireplace. Formal dining room leads to eat-in kitchen with stainless appliances, pantry, and recessed lighting. Large master bedroom w/ sitting area and walk-in closet. Separate laundry centrally located between rooms. Home has energy efficient LED lighting throughout. 4th bedroom over garage could be used as bonus. NO money down needed to purchase this home!